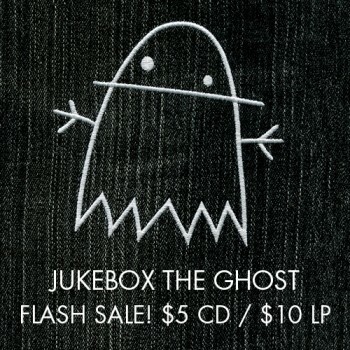 While Jukebox the Ghost rock out on Conan O’Brien tonight, grab their latest album, Jukebox the Ghost, for a special price at the Yep Roc Store. For a limited time, the CD is only $5, and the LP is only $10. Stream “The Great Unknown” below and grab the album before the sale ends. Entertainment Weekly premieres Jukebox the Ghost’s all-new “Somebody” music video.